Vail Resorts and Telluride Ski & Golf jointly announced on Monday, January 29, 2018, that Telluride Ski Resort will join the Epic Pass in a long-term alliance beginning with the 2018-19 winter season. 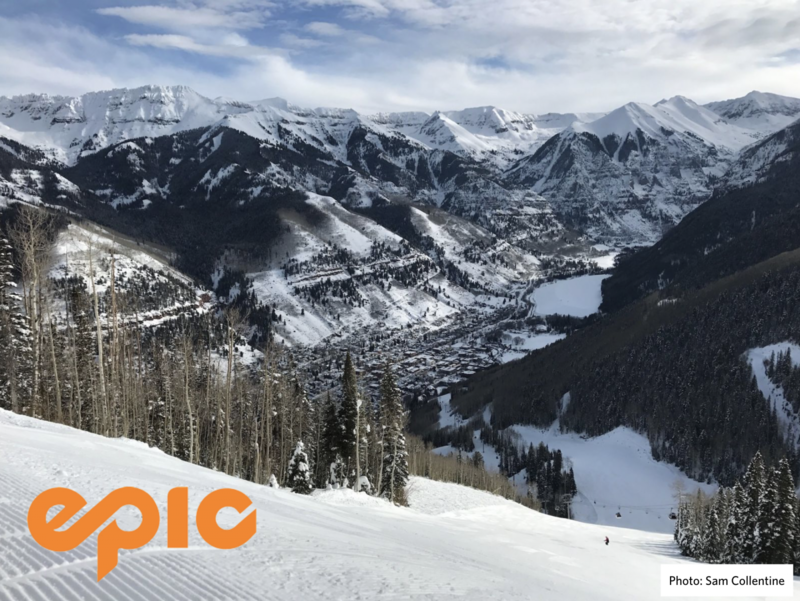 "Telluride is excited to join the Epic Pass and a collection of world-class mountain resorts that skiers and snowboarders around the world come back to time and again. This new season pass alliance is more comprehensive and long-term than prior pass alliances and will provide an incredible benefit for both Telluride guests and our resort community. Epic Pass skiers and snowboarders thrive on new, unique one-of-a-kind adventures. We offer an extraordinary big mountain experience, signature hospitality, and guest service, and an authentic, welcoming mountain town surrounded by stunning scenery," said Bill Jensen, CEO of Telluride Ski & Golf.